Revisionist historians deny that Hiroshima and Nagasaki were bombed in order to save American lives. They say the Japanese high command was ready to surrender before the bombs were dropped and that, in any case, an invasion of Japan would not have caused the 1 million Allied casualties or 500,000 deaths that President Truman later claimed were averted. The real reason for Hiroshima and Nagasaki, they say, is that American leaders thought the existence of the bomb and the U.S. willingness to use it would strengthen the American position in relation to the Soviet Union. 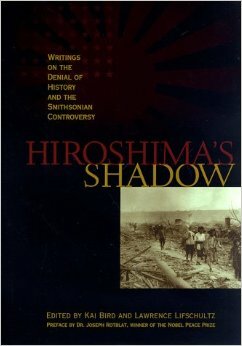 The essay collection, Hiroshima’s Shadow, which I am now reading, provides the documentary evidence for these arguments. The contributors include historians who know much more about this subject than I do, but historians disagree. I think the revisionist arguments not as false, but as inconclusive. 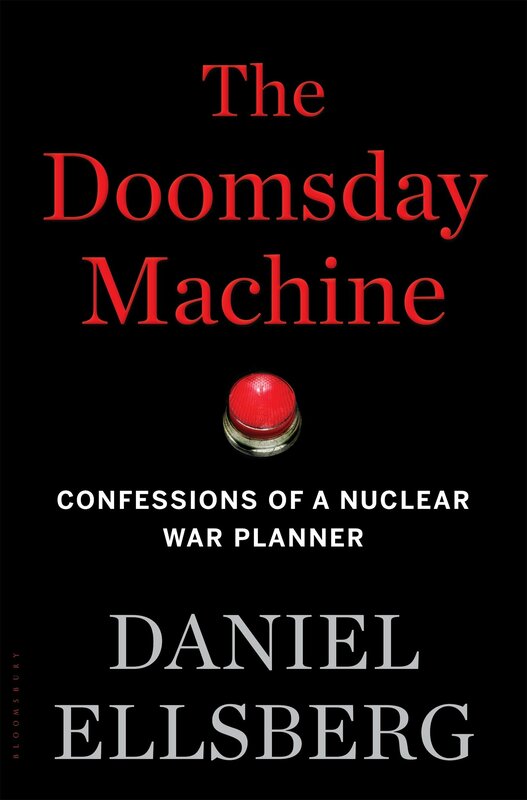 Yet I draw the same moral for our own time as they do about the need for disarmament and the risks of atomic diplomacy. Were the Japanese really willing to surrender before Hiroshima was bombed? It is a fact that Japan’s military and civilian leaders both regarded the Pacific War as lost, and they hoped to negotiate a peace on the best terms that they could. The minimum terms, especially for the military, were that the Japanese retain control of the home islands and that Emperor of Japan continue to rule. The Allies included “unconditional surrender” of the Japanese armed forces and an Allied occupation of Japan. The Japanese were promised that the Allies did not intend to annihilate them and that they would eventually have a government of their own choosing. This implies that they could have had an Emperor if they wanted one, but nothing specific was said. The question in my mind is just what was meant by the Emperor continuing to rule. Did it mean that the Emperor would remain in place as a powerless constitutional monarch, as eventually happened? Or did it mean that the Emperor would rule, not by popular mandate, but by divine right as a descendent of the sun goddess and an object of worship in the state Shinto religion, with the military exercising power in his name? This would have meant a perpetuation of the totalitarian that had led to war in the first place. Was the Hiroshima bomb necessary? 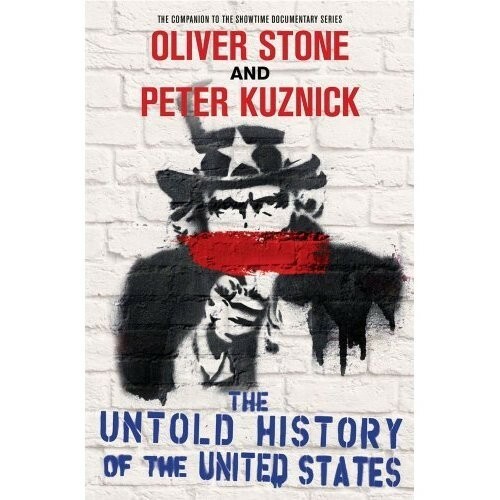 I’ve been reading Oliver Stone’s and Peter Kuznick’s The Untold History of the United States, a companion to their TV series of the same name. It is a compendium of the crimes and follies of the U.S. government in the 20th century. The dropping of the bomb was partly due to President Truman’s need to affirm his masculinity. The dropping of the bombs was partly due to American racism against the Japanese. The dropping of the bombs was intended mainly as a deterrent against the Soviet Union. Japan’s surrender could have been negotiated without the bomb. 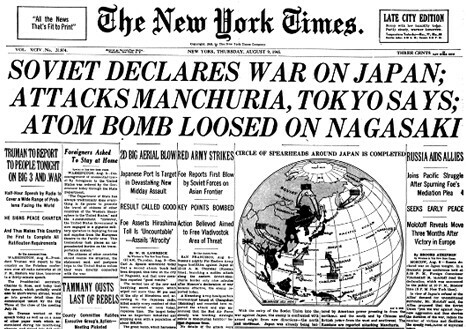 The Soviet invasion of Manchuria, not the atomic bombs, were the main reason why the Japanese eventually did surrender. For me, it’s not so simple. Hiroshima and Nakasaki were the culmination in the greatest mass slaughter of human beings in history. An estimated 50 million to 60 million people, more than half of them civilians, were killed in the war, not counting those who died of war-related famine and disease. World War Two was a war without mercy. All sides lost their moral inhibitions. I was a small boy during World War Two and I remember the wartime atmosphere. Everyone wanted to win the war as quickly as possible and by any means necessary. There was no bright line that separated the Hiroshima and Nagasaki bombings from what had gone before, including the systematic bombing of the German and Japanese cities. I couldn’t have imagined the United States possessing such a powerful weapon and not using it.